This time last week I was in Lanzarote, enjoying wall to wall sunshine, culture, great company and incredible food! Our first stop was Cactus Garden In Lanzarote, Jardin de Cactus. 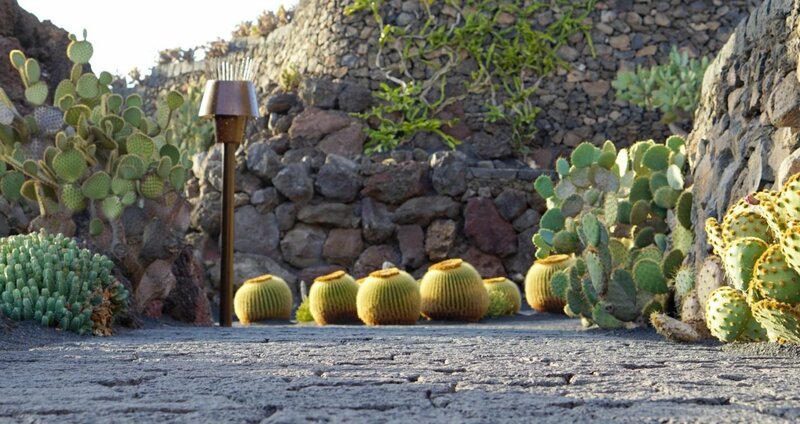 Developed in collaboration with César Manrique the Cactus Garden hosts over 10,000 plants. Now if you are similar me and like to black death to all plant life, cacti are your friends. I have two and have managed to keep them alive for 2 years! Visiting a landscape full of over 1000 species of cacti is a real treat. The detail in every single plant and the sheer beauty of the Lanzarote Gardens, set out in the stunning volcanic terrain, makes it the sort of place you just want to stop and take it all in for a while. 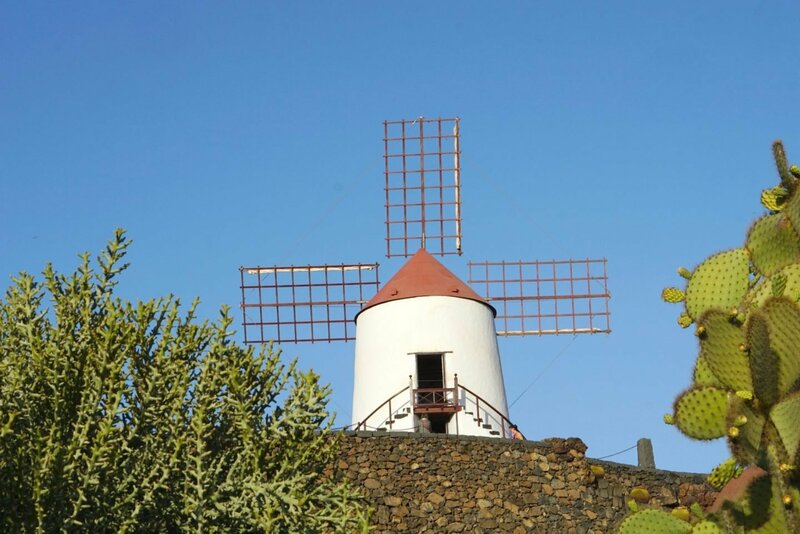 The perfect vantage point is at the top of the Cactus gardens in the picture perfect windmill. Which offers with the most breathtaking views over the surrounding region. I often look at natural wonders and just marvel at how clever nature is. 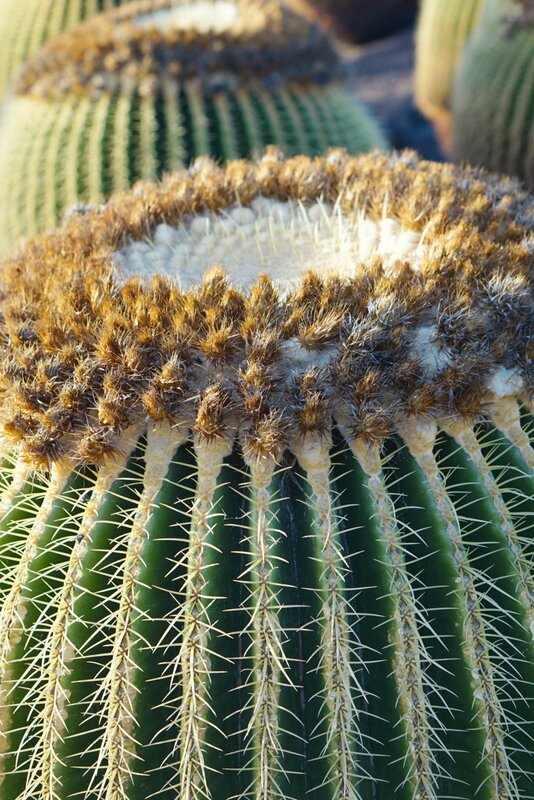 Cacti are built to live with virtually no water, have built-in protection and host the cochineal beetles. Who are a natural source of red colouring, which is still used in certain items of food and drink. 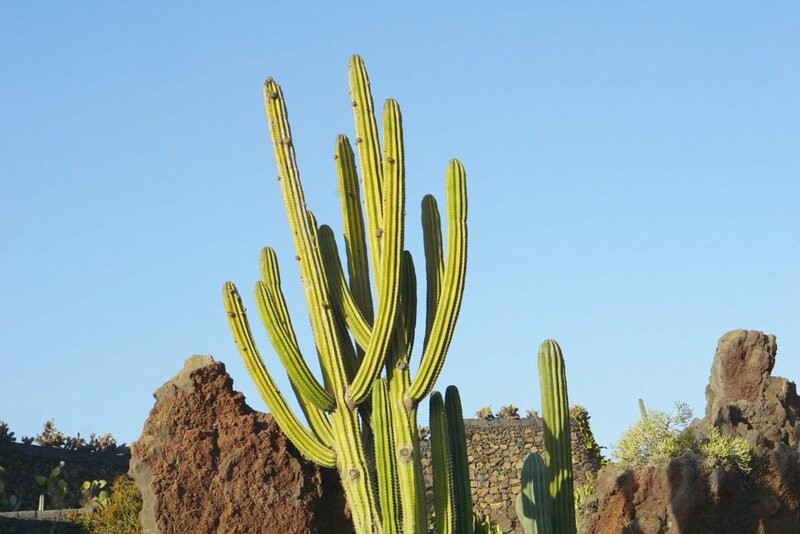 You cannot visit Lanzarote without paying a visit to the Cactus gardens. It’s just a shame I didn’t get to bring one home for my desk and random flat lays. Where is the Garden de Cactus: Carretera General del Norte, s/n, 35530 Guatiza, Las Palmas, Spain, see below for the map. 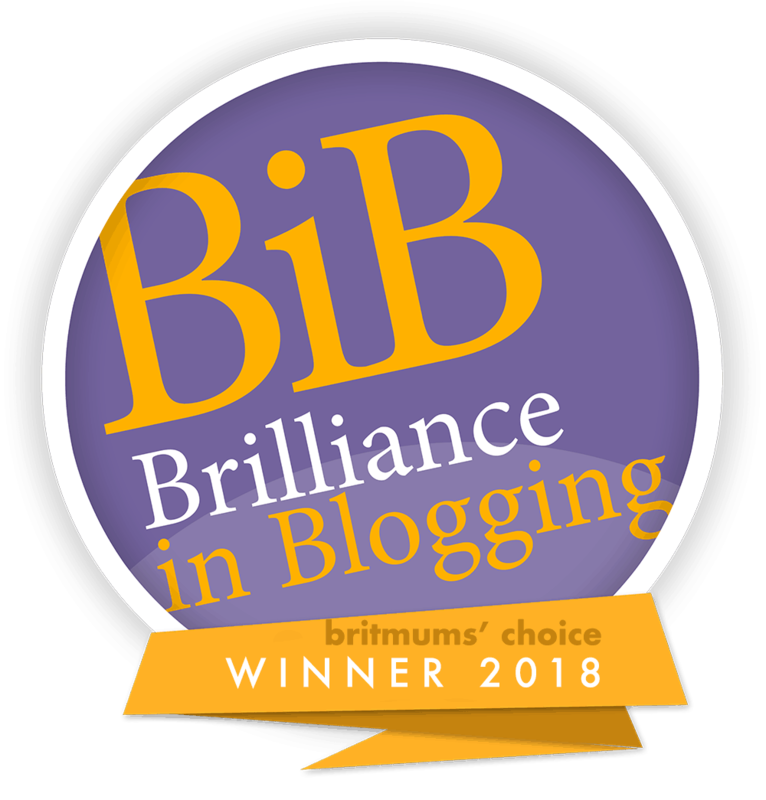 Previous Post My Weekly Round Up, Little Loves And Sunshine! 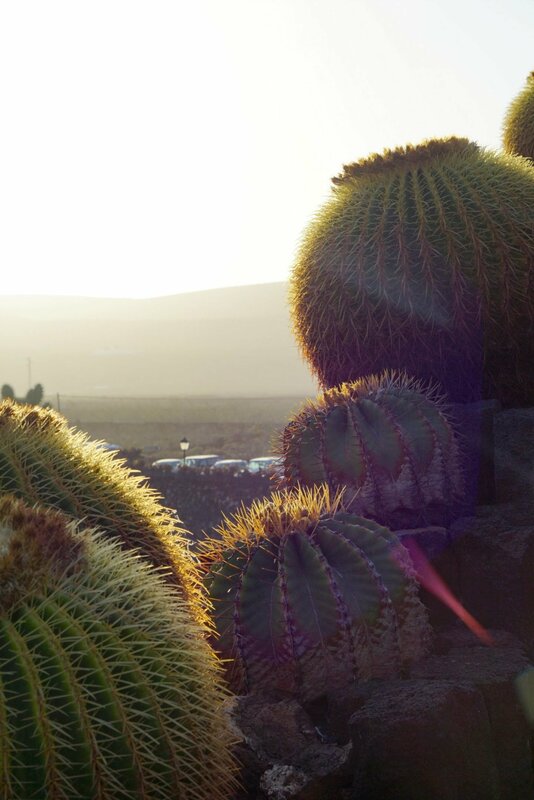 You got some amazing shots of those cacti – it really is the most stunning place to visit! What fabulous photos. 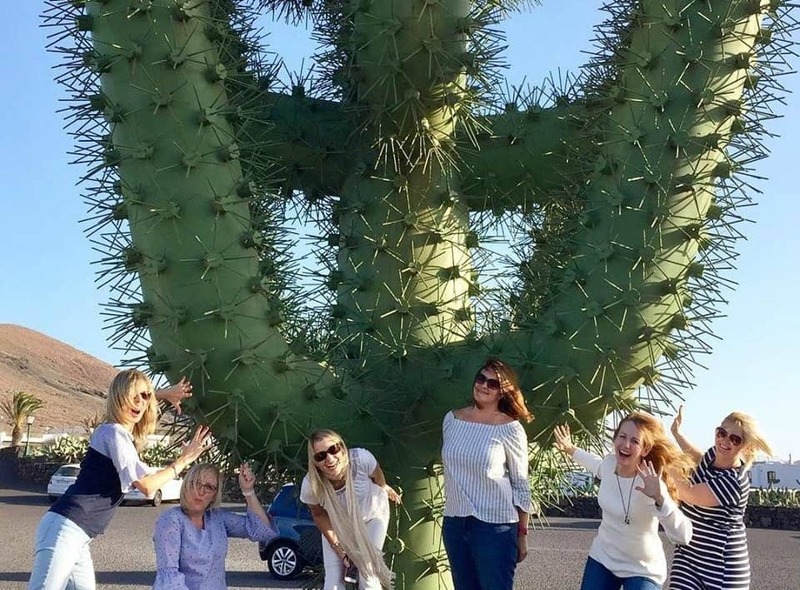 That cactus in the first shot is enormous! I never realised how big they grow! Love the pic of the “Mother-in-Law’s” seat! This looks lovely, what an amazing landscape! I dont think I’ve ever been to a cactus park before (or every ever touched one that size!). I loved following your trip on Instastories! Such stunning photos. The garden is such a beautiful setting, especially just before the sunsets. Thank goodness we didn’t really fall into the big one! This place is stunning. Those blu skies and the incredible variety of plants in a winning combination! What a fun place I love all the smiling faces in this post too!